My kids have been living out of our freezer this summer. We have an ice lolly factory in our kitchen. It has been a tropical summer in Sweden. And we are loving every minute of it. 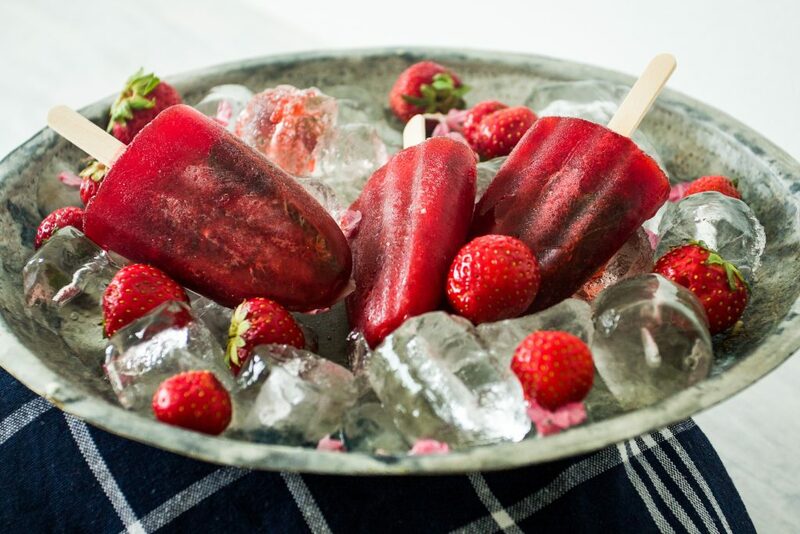 Ice lollies for breakfast anyone? 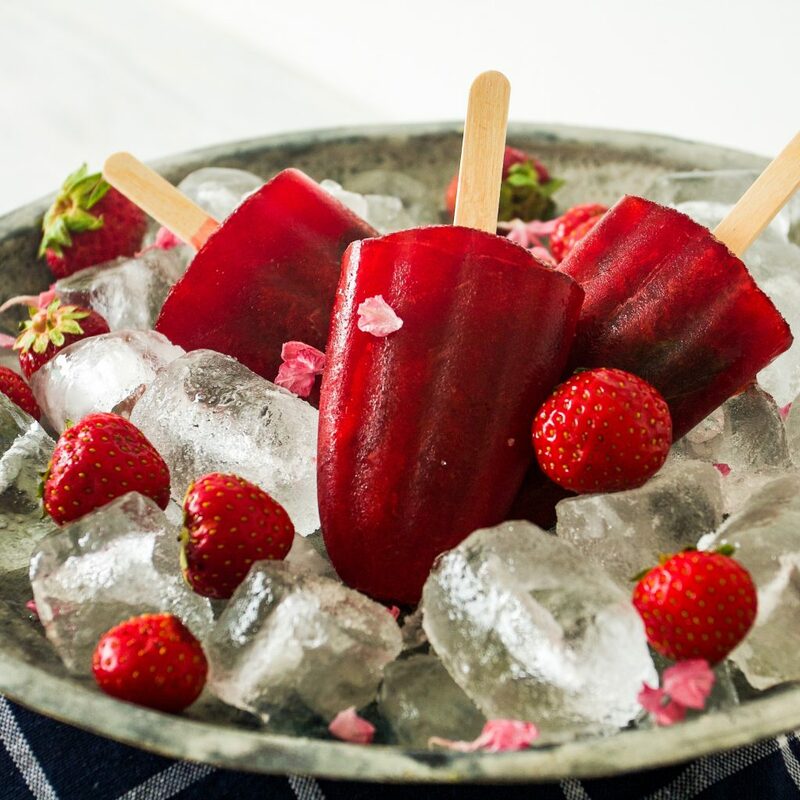 These ice lollies are very easy to make and taste like a little bit of ice lolly heaven. You can use this recipe with any kind of berry. 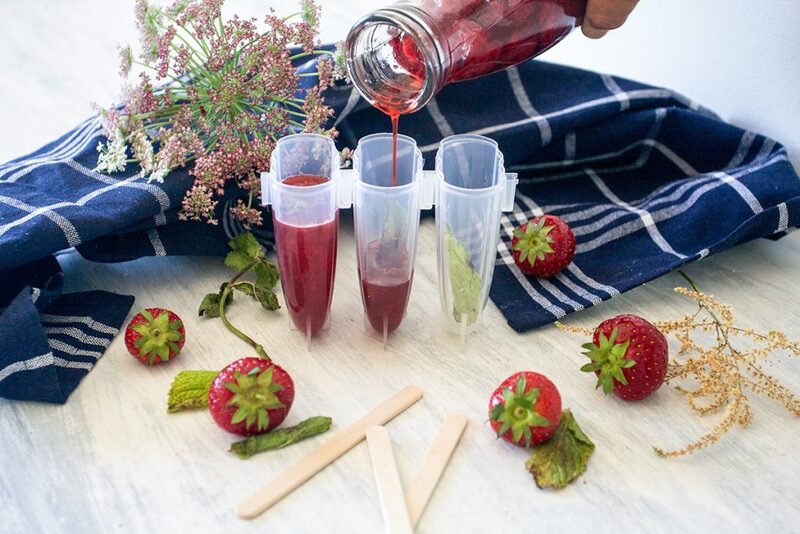 And make a different ice lolly. 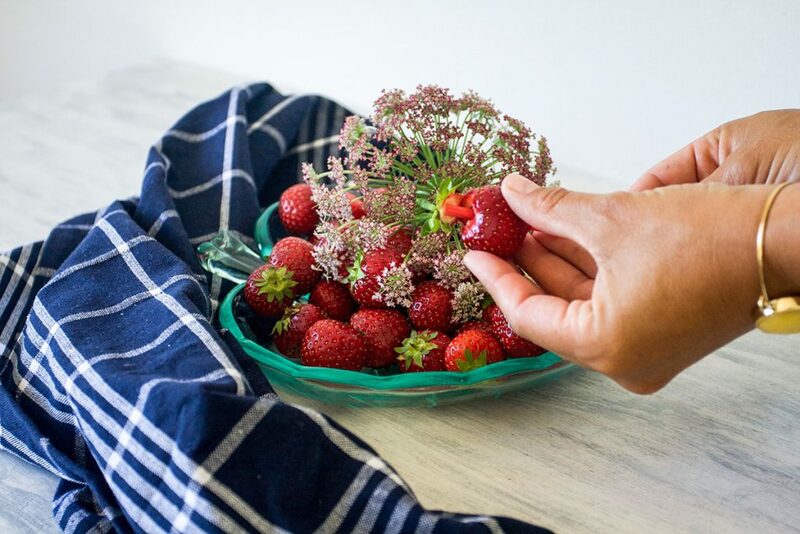 But this season the strawberries have been really sweet. I guess this is what happens when berries get to grow in full sunshine. I use a little bit of sugar in my recipe. This is, of course, optional and if the berries are sweet you don’t have to. You can also add honey or agave syrup. Just make sure that you use a little less since they are very sweet. 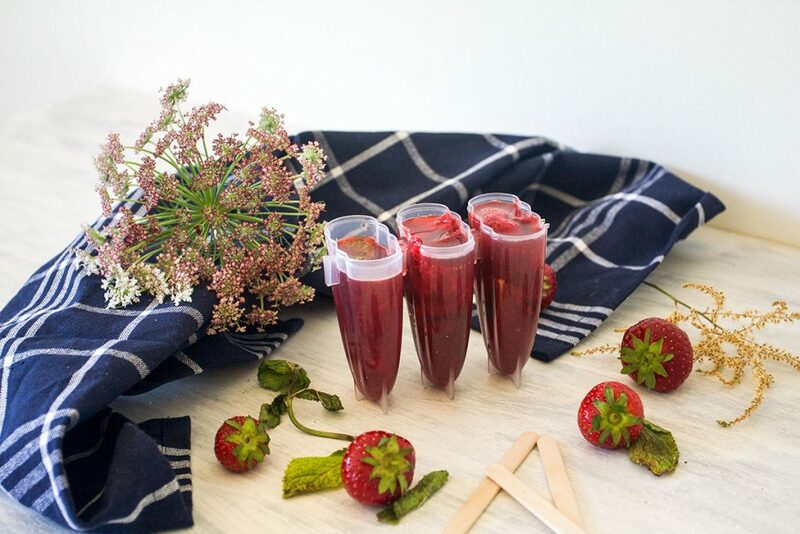 Strawberry lollies are the perfect way to cool down on a hot summer day. 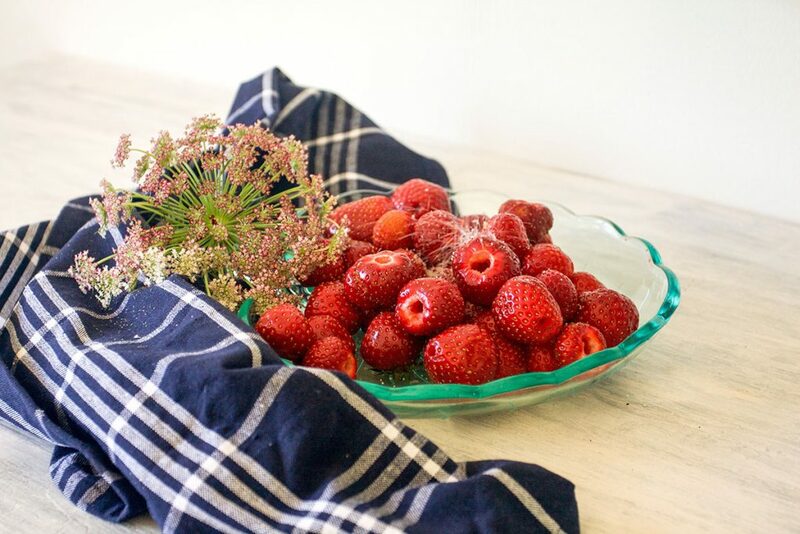 Start by washing the strawberries and hull them. Sprinkle with sugar and let it soak for 5-6 minutes. Add strawberries to a pan and add water. Bring to a boil and let it simmer for 10 minutes. 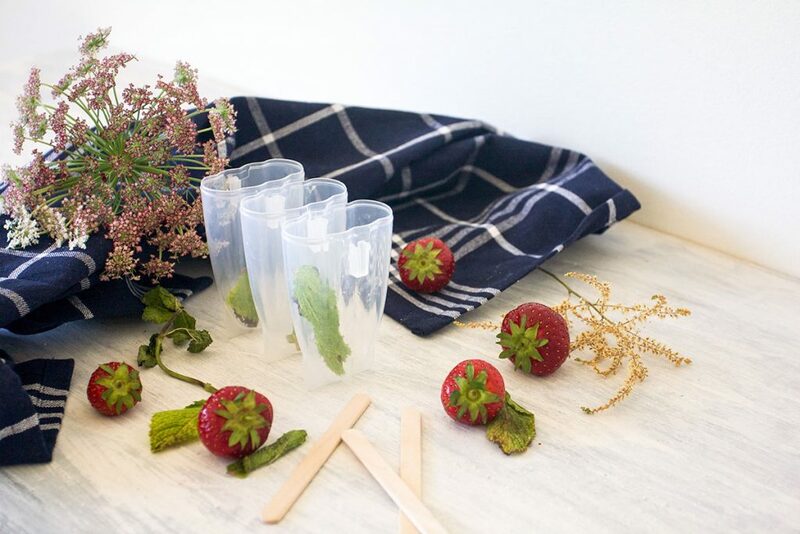 Add mint leaves to each of the lolly containers and pour in the strawberries and juice. 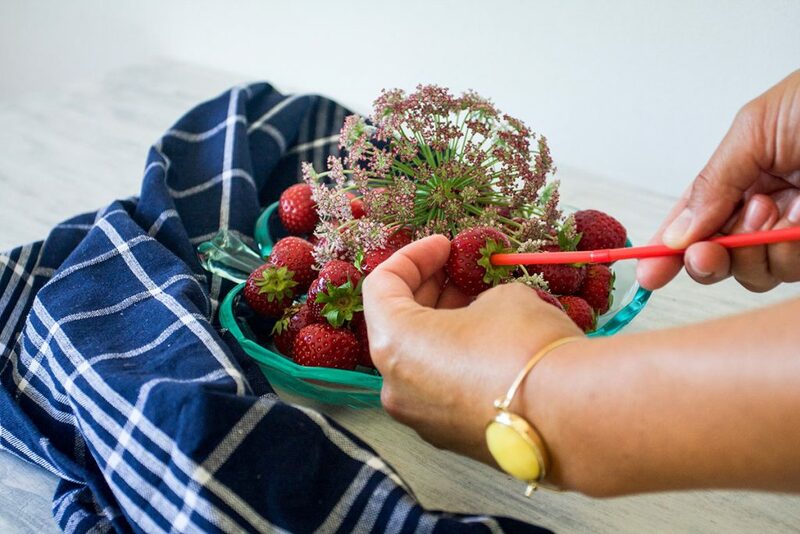 I use a straw to hull my strawberries. It’s quick and less messy. Add a little bit of sugar to the strawberries and let it soak in for a little while. Ice lollies are also a wonderful allergic friendly option to ice cream. They are both gluten-free and vegan. Great huh? 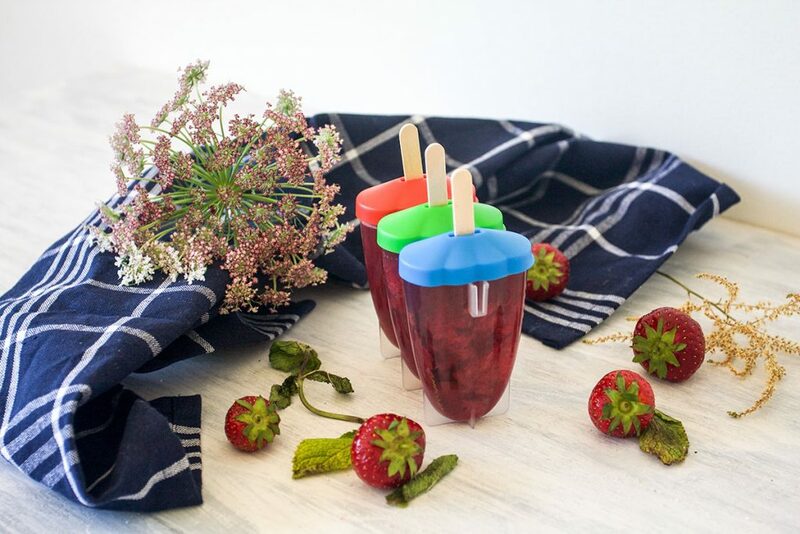 I use plain ice lolly containers and I use wooden lolly sticks instead of the plastic ones that come with the containers. Ready for the freezer and voila!